Posted on 23, March 2016 by EuropaWire PR Editors | This entry was posted in Electronics & Machinery, European Union, Industrial, Law, Switzerland and tagged Directive on the restriction of hazardous substances, electrical and electronic equipment, European Commission, RoHS, SGS. Bookmark the permalink. Guangzhou, CN, 23-Mar-2016 — /EuropaWire/ — The European Commission has published an inception impact assessment signaling its intention to amend the scope of the Directive on the restriction of hazardous substances (RoHS) in electrical and electronic equipment. The changes are deemed necessary to tackle several unintended consequences of the revision of RoHS, also known as RoHS2, and published in 2011. 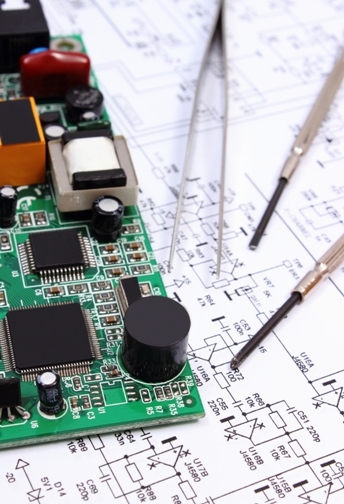 The main policy option in the proposal aims to simplify the existing RoHS Directive by ensuring a more consistent approach in the scope, and aligning compliance dates for newly in-scope products with other EEE categories. This option will reduce burden to market operators and further ease second-hand and repair market operations; a sector with negligible relevance to RoHS objectives will be excluded from scope. The global footprint of SGS will support you in product compliance with global RoHS (EU, China, Korea, US, etc. ), REACH/SVHC, textiles or hard-goods or other toy regulations and many more consumer product related requirements, such as packaging materials or battery requirements. Whether you are in need of chemical testing or services in the fields of inspection, certification, compliance assurance, outsourcing, training or auditing, SGS is dedicated to meeting your needs. Providing services to help your products to be fit for the market requirements of the future – whatever the legal frameworks might be. ©SGS Group Management SA – 2016– All rights reserved – SGS is a registered trademark of SGS Group Management SA. This is a publication of SGS, except for 3rd parties’ contents submitted or licensed for use by SGS. SGS neither endorses nor disapproves said 3rd parties contents. This publication is intended to provide technical information and shall not be considered an exhaustive treatment of any subject treated. It is strictly educational and does not replace any legal requirements or applicable regulations. It is not intended to constitute consulting or professional advice. The information contained herein is provided “as is” and SGS does not warrant that it will be error-free or will meet any particular criteria of performance or quality. Do not quote or refer any information herein without SGS’s prior written consent.